shuerli Great buyer to deal with! Pleasant transaction! @chootomy is on Carousell - Follow to stay updated! 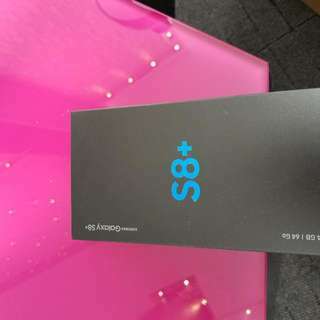 Hi all, I have a brand new and sealed samsung galaxy s8 plus in midnight black. It is direct from samsung and includes a official black clear cover. One year warranty starting from date of activiation, can use with any carrier! First one to pick it up gets it!